The World War began as a naval war between European empires in Latin American waters but quickly evolved into an intelligence war in the Western Hemisphere, touching lives in the Andes, Amazon and Atacama, far beyond any belligerent's borders, missions or vessels. 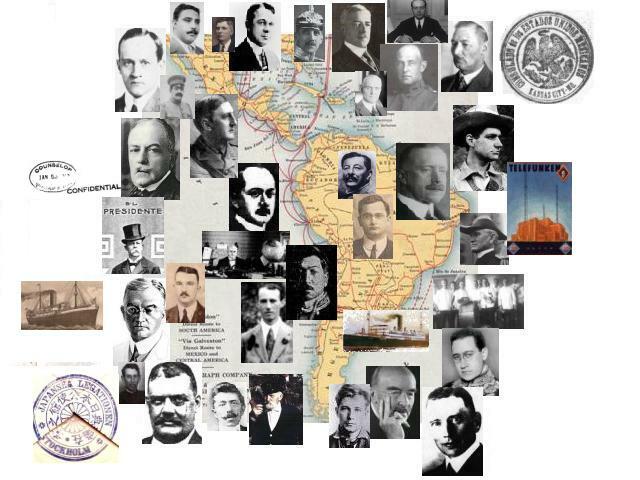 This website is based upon research conducted for the book, Intelligence War in Latin America 1914-1922. Unless otherwise attributed, most photographs are from the Library of Congress and US National Archives.